We understand that buying a caravan or motorhome can be a big decision so we are giving you the opportunity to try before you buy. Spend a weekend away and get to grips with touring life. We’re here to support you through the buying process and help you find the perfect vehicle. 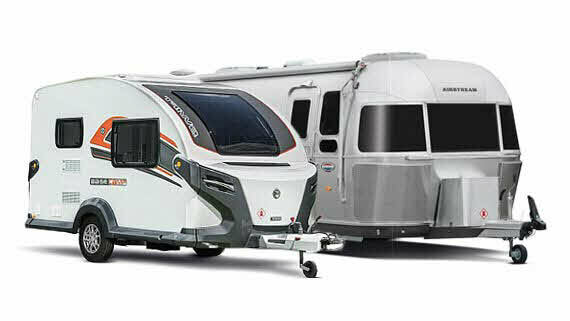 Pick from a variety of caravan sizes and layouts. For a hassle free stay, just arrive at your chosen location and start experiencing the world of touring. Try a fully equipped motorhome and access our 2700 stunning locations across the UK while you hire. 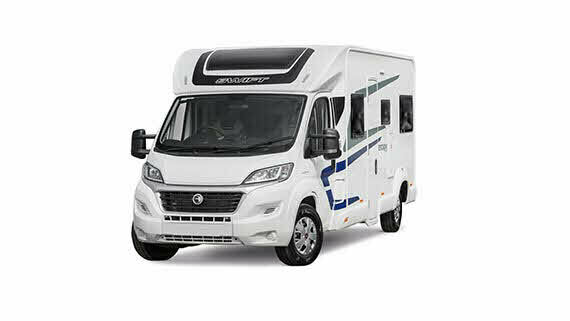 Choose whether you would like to hire a caravan or motorhome and let us know if you’d prefer a specific make or model. Just bring bedding, towels, personal items and food. You'll get everything you need to maximise your experience in a caravan or motorhome. Your hire fee includes a caravan or motorhome of your choice - caravans will be delivered by a trusted partner to a campsite; and motorhomes will be ready to collect and go. We are on hand to guide you through the whole process, sharing our breadth of knowledge and advice. Our partners on site will show you how the caravan or motorhome operates. * The hire fee will vary depending on dealer, type and age of the van hiring. Site and deposit fees may be applicable. From £190 price for caravan hire is based on a minimum two night Airstream caravan stay in 2018, pitched at Abbey Wood in London. From £300 price for motorhome hire is based on the minimum three nights hire period for a non Club member. Additional fees may apply. Terms and conditions are outlined prior to hire when you are directed to our trusted partners. **The refund amount of the hire fee is subject to a maximum amount within specified timescales as per individual dealers terms and conditions before hiring.